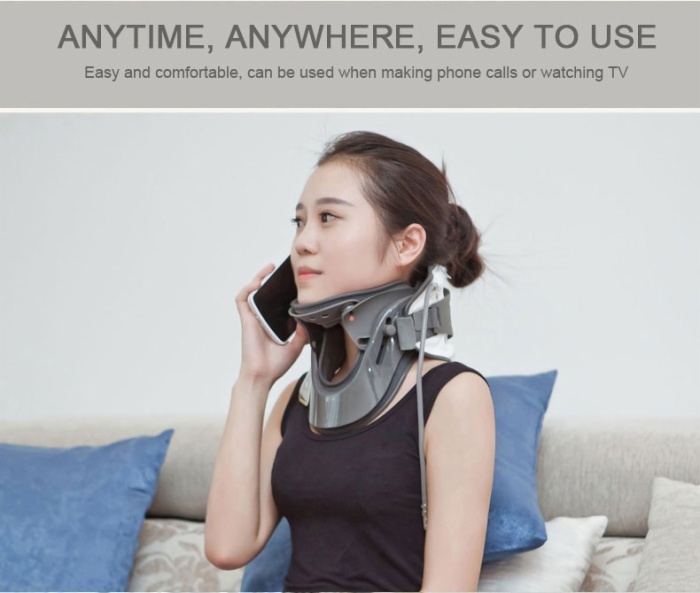 1.Automatic-locking adjustable bracket, can automatically adjust the chin support position, suitable for all kinds of people. 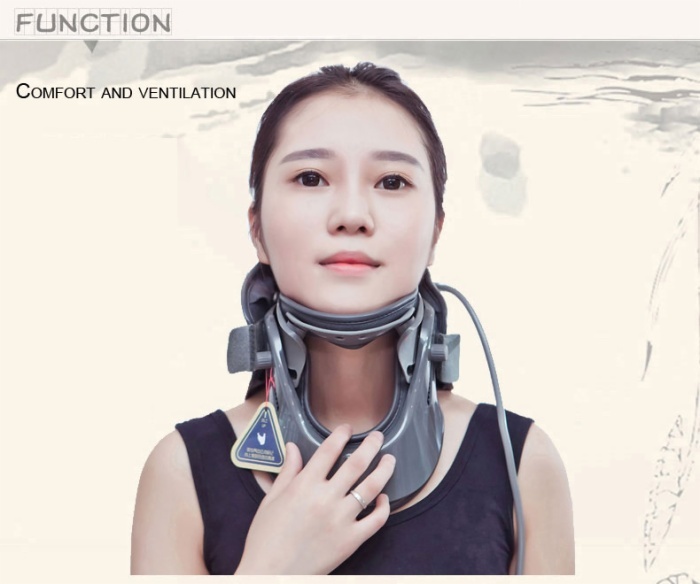 2.Auxiliary traction control panel, can strengthen the natural curvature of cervical vertebra, restore the stability of the cervical spine. 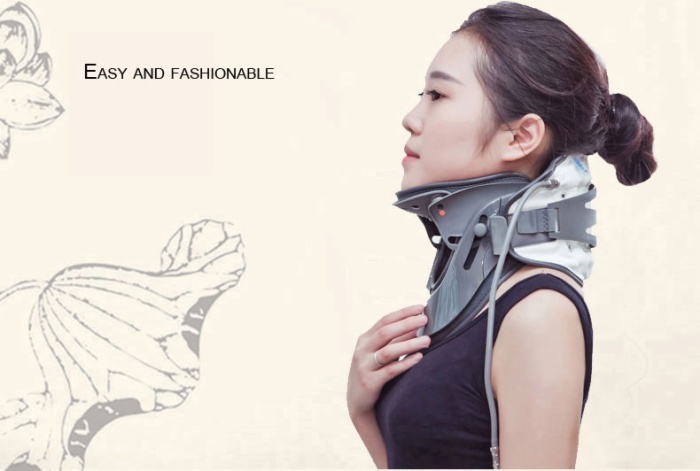 3.Medical tech shaping material, exquisite workmanship, safe and durable. 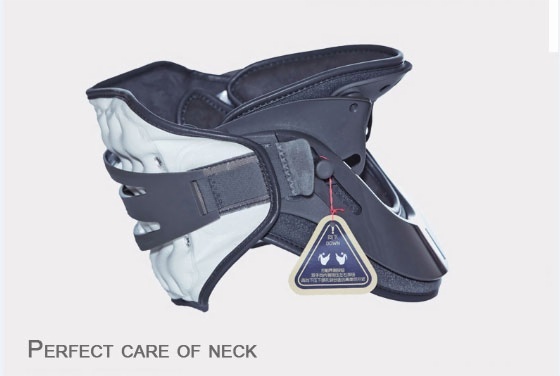 4.Special nanometer antibacterial material, absorbent, wear comfortable, clean and safe. 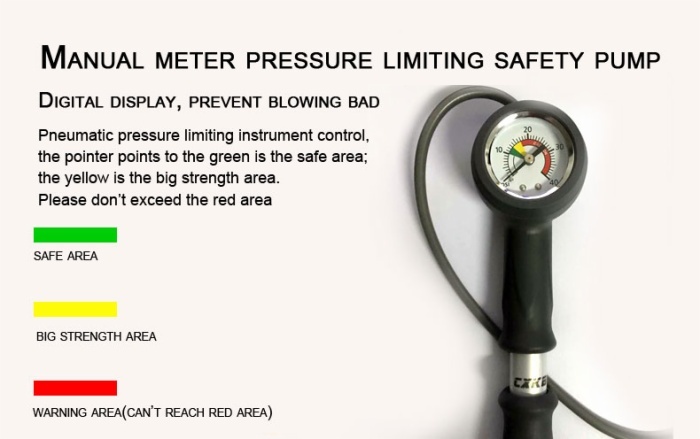 5.High-quality instrument air compressor, pneumatic quick easy, pressure display accurate, glance clearly. 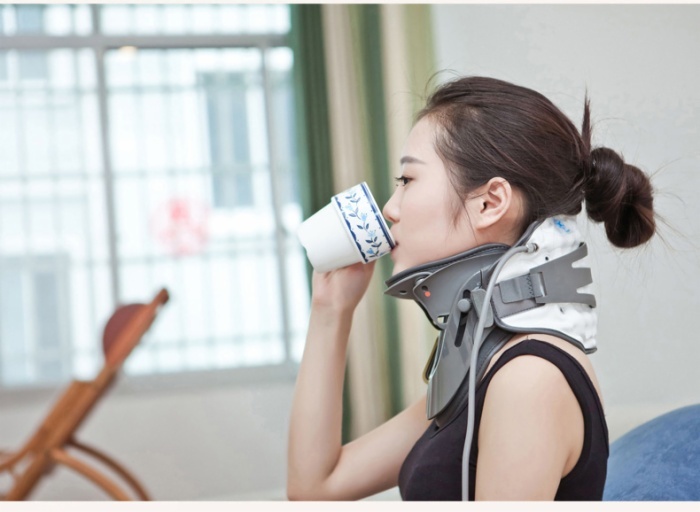 Mainly is suitable for the prevention or treatment of cervical vertebra disease. 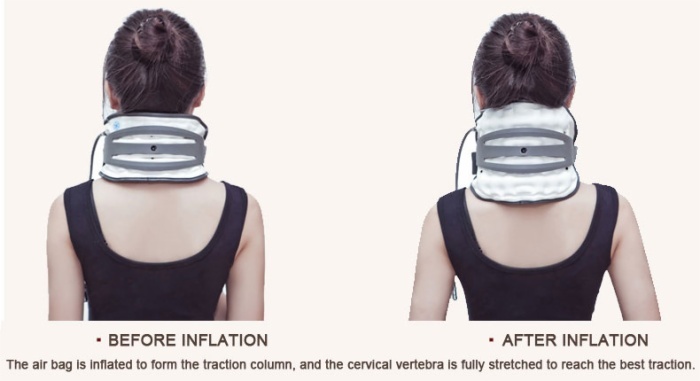 This products is comfortable to wear, has a good limit fiexion, lateral flexion, lesion area such as rotating movement function; effective traction released the neurovascular compression, so as to relieve pain fixed repeated traction, make the neck muscle relaxation, cerical vertebra, vertebral artery straightening, promote the blood circulation, accelerate metabolism, relieve nerve root compression, improve vertebralartery and the supply situation, is advantageous to the local congestion swelling and proliferation of faded, cervical vertebra discase symptoms improve or disappear entirely. 1.Open the packing, take out cervical holder. 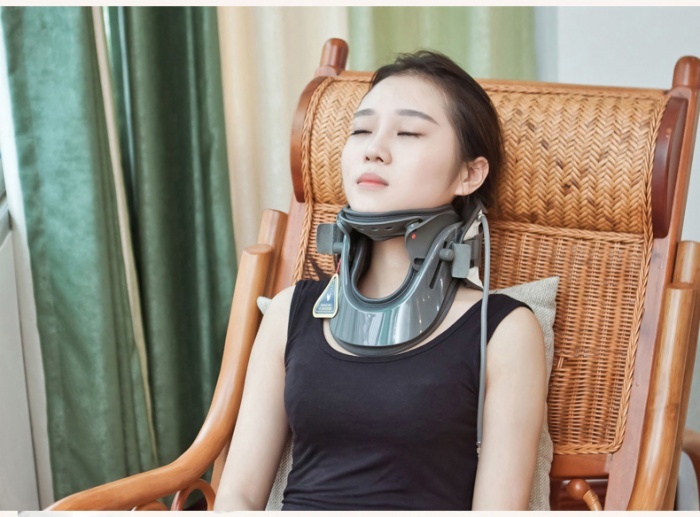 2.According to the correct way to wear a cervical traction apparatus, adjust the neck circumference size, use the person of different necj circumference. 3.Pep talk before the stroke is fixed with the connection valve and manual assist device docking. 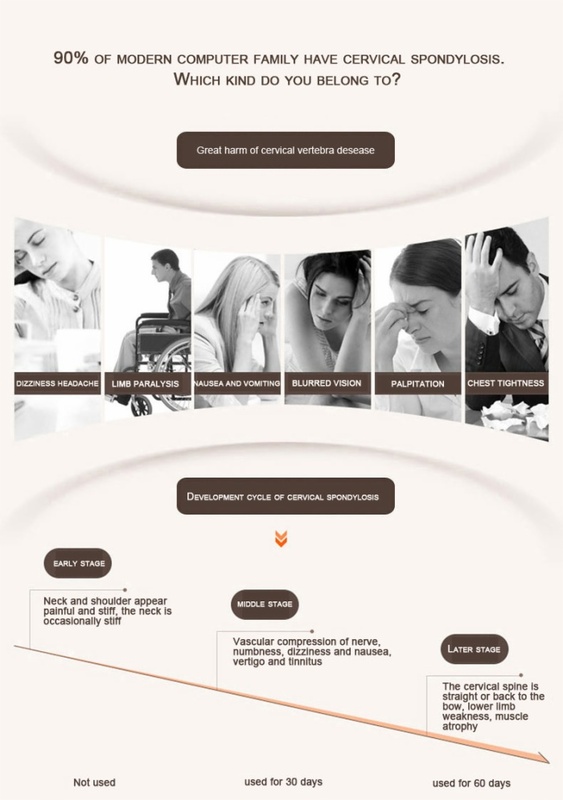 4.With strength of aeration device pep talk back and forth until patients feel appropriate or relieve symptoms, but not more than 15 kpa pressure. 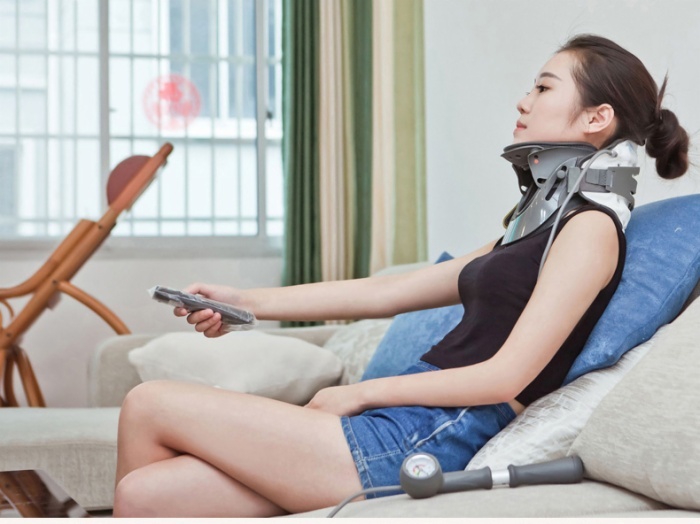 5.Need to remove the cervical traction apparatus, counterclockwise rotary joint, slowly deflated. 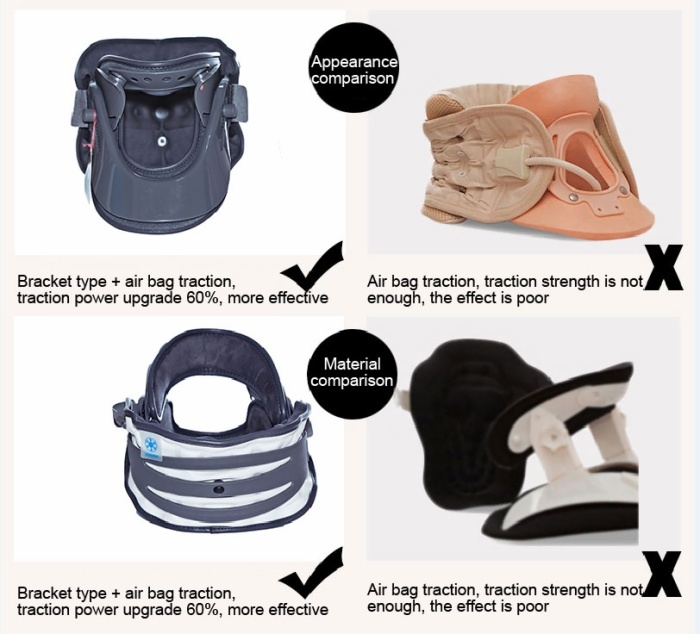 2.The product must be used under the guidance of professional doctor, can not be used in newborn babies and pregnant women. 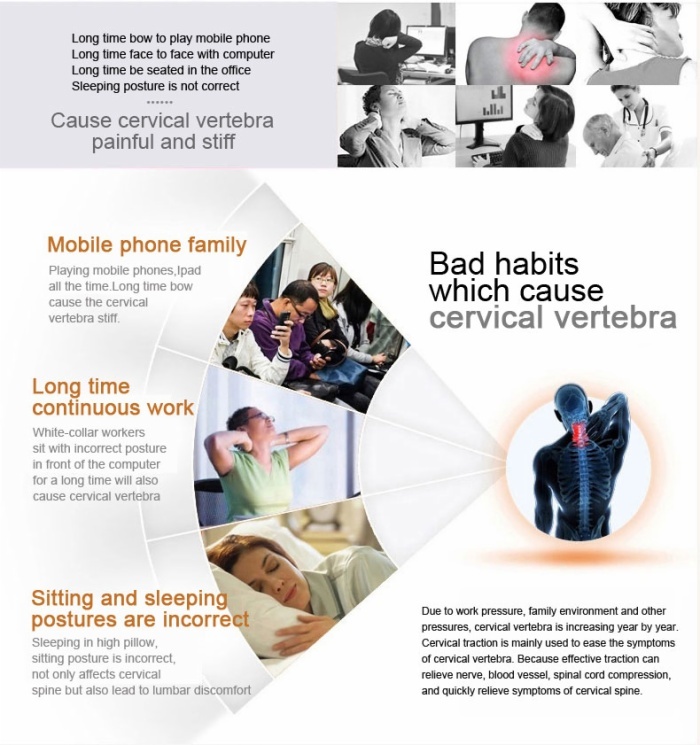 3.If you found using cervical vertebra tractor allergy or discomfort, please stop using it immediately. 4.In case of open injury, please wrap and then fixed. 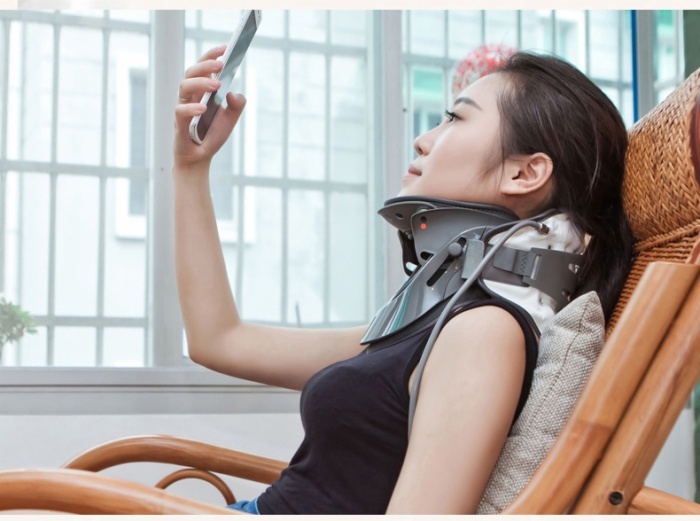 5.Treatment as far as possible when relax the neck, slowly add pressure, enhancing the effect of traction. 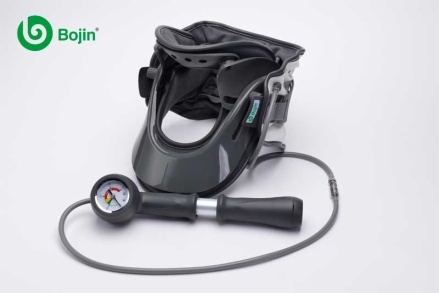 6.Inflatable should be step by step, don't too hard, air pressure must not more than 15 psi, otherwise easy to blasting air bags.In a traction treatment appeared abnormal reactions such as dizziness, should slowly deflated, until the symptoms disappear of should not be adjusted again. When external other inflatable devices, should use human aeration, and has a good seal, 15 kpa pressure should be tolerated, no leakage phenomenon. 7.When used to avoid drawing device contact with hard objects, drawing has a stain on the surface, after filling in with a soft brush touch water to clean, blisters, forcibly knead or scrub. 8.After using the product should be according to the relevant provisions of the regulation on the administration of the medical waste disposal. After packing products should be stored at room temperature, relative humidity less than 75%, no corrosive gas and well ventilated clean indoor.